Um as you can see these two have an undeniable connection!! Sometimes you get lucky and you feel like your taking part in something so special. And then you remember that photographs are forever. So yeah, something special for sure. I love them!! 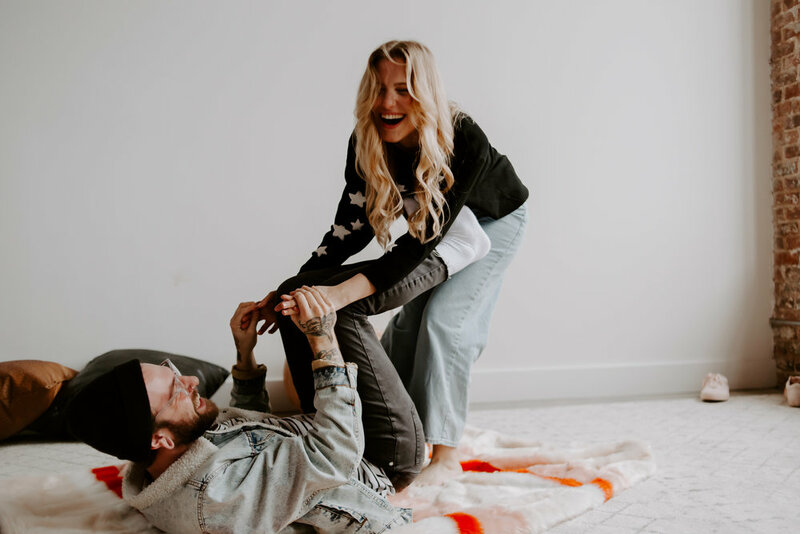 Totally cool way to have really fun lifestyle couples sessions airbnb style! Plus, I mean you guys get to spend the night, drink during your session, listen to music, dance I mean pretty much whatever! !I cant wait to hang out with these two again!